On September 1st, 1969, a group of young Libyan military officers overthrew the Libyan royal family and established the Libyan Arab Republic. 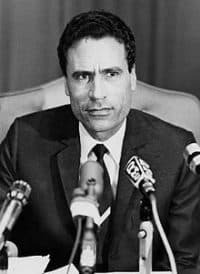 The mastermind of this coup d’état was a 27-year-old officer named Muammar al-Qaddafi, who following the coup effectively established himself as both the country’s head of state and head of the armed forces. The relatively peaceful overthrow of the Libyan royal family astonished many in the State Department because it seemingly came out of nowhere. 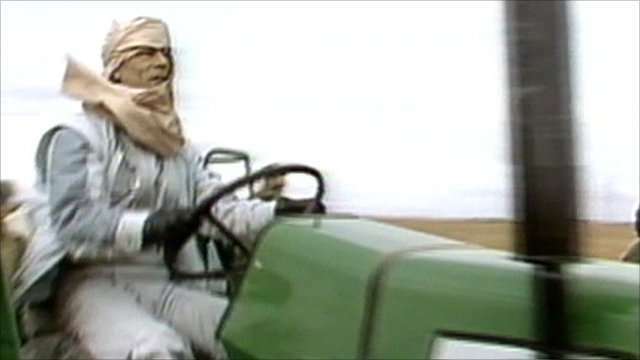 Qaddafi was a relatively unknown military officer at this point of time, as were many of his closest allies within the Libyan military establishment. Unsure of what was to be expected, diplomats heartily sought to establish positive relations with Libya because they saw it as a critical hub, in which the Air Force retained one of its largest bases in the entire world. However, these interests would quickly clash with Qaddafi’s. His largely anti-Western and xenophobic agenda, coupled with his unwillingness to respect basic human rights, strained the U.S.-Libyan relationship almost immediately following his seizure of power, and would continue to be strained until his death in 2011. Holsey G. Handyside and Harold G. Josif served in Tripoli together during the Qaddafi coup of 1969. Handyside shares his memories about the day of the coup itself, and about a local Libyan man whom he befriended and played a much larger role in the operation than anyone could have predicted. Josif, who served as the Deputy Chief of Mission, discusses some of the more policy-specific changes that came with this new regime. Both men were interviewed by Charles Stuart Kennedy beginning in April 1993 and October 1999, respectively. Read another perspective on Qaddafi’s coup from the Principal Officer to the Libyan Embassy Branch Office in Benghazi. Go here to read about the violent siege of Benghazi — in 1967. HANDYSIDE: The King [Idris, who was in power prior to Qaddafi , pictured] was an active player but only on the largest, broadest kind of spectrum. He wasn’t the slightest bit interested in the day-to-day running of the government. What particular ministers did or didn’t decide to do, I don’t think really concerned him the slightest. He obviously kept tabs on his prime minister, but for the most part his prime ministers were mirror images of his intellect and his political approach so he really didn’t have to worry about them too terribly much. There were a limited number of topics that the King was interested in. 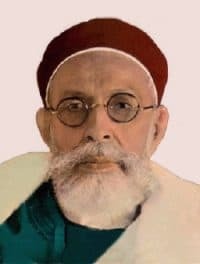 The two foremost were his absolute conviction that there was no future for Libya except in association with the British and American governments. The base agreement that the British had for the army installations they had around Tobruk and the base agreement the United States had for Wheelus Air Force base were absolute essentials as far as he was concerned. The occasional times Idriss would become very active and directly and personally involved in what was going on and in the running of the government came at times when these basic associations with these two foreign governments were called into question, or worse, were threatened. We had in country perhaps five, maybe six, young company grade officers, first lieutenants and captains, who were communications technicians out of the U.S. Signal Corps. They were detailed to the Libyan army for the purpose of training officers and men in the esoterics of modern day electronic communication…. There was no indication of anything building. Indeed the night of August 31, I drove out to Sabratha, a Roman ruin, for a theatrical performance, and saw nothing out of the ordinary. 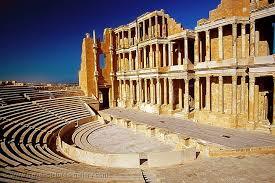 During the course of the summer, there was a series of cultural presentations at the Sabratha Roman theater. I don’t remember what the August 31st show was, but it was something musical. I had driven out early with two or three friends so we would have a chance to look around the Roman ruins before the concert started. After the concert we got into my car and started back to Tripoli. We were totally oblivious of anything going on. We later learned that the movement of the troops had already begun while we were on the road. But the coup leaders had been very careful in their planning. They recognized that there was going to be this crowd of about 800 people at Sabratha, and so very carefully postponed any military movements in that area until after the theater crowd had gone home. I got back to my apartment in Tripoli sometime after midnight. And then I also realized that there was no traffic on the Corniche in front of my apartment building. Even though this was technically a holiday, normally on a holiday there would be an occasional car or truck, but there was nothing. Having finally realized that something strange was going on, I tried to make some telephone calls and discovered that my telephone didn’t work. That was the clue that finally penetrated my early morning fog. I quickly got dressed, got into my car and started down to the Embassy. In a distance of maybe seven or eight blocks, I had to talk my way through three or four military road blocks. I was able to do so only because I had diplomatic license plates on the car and a Ministry of Foreign Affairs ID card. Fortunately for me the corporal or the sergeant in charge of each one of these roadblocks was literate so he could read the ID card. I made it to the Embassy by a little after eight in the morning, one of the first members of the staff to get there. I literally didn’t leave the Embassy for another six weeks. I simply lived there, going home to take a shower once in a while and get a clean set of clothes. 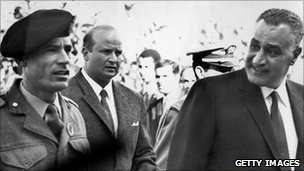 Nasser was very disturbed, we subsequently discovered, to discover that he not only didn’t know that there was a coup being planned or that the coup was underway, but that he didn’t know any of the people who were involved. So it was hardly a surprise that the American Embassy was unaware of this coup. There were, however, some four or five young American officers. It became very clear after I had talked to about the third one, and it was absolutely confirmed by the time I had talked to all of them, that had either I or the [CIA] station chief or members of our staffs been permitted to talk to this group of young American Army officers prior to the 31st of August, we could have called the coup. Two of these fellows were directly involved with Muammar al-Qadhafi, who was after all a Signal Corps officer. They knew him exceedingly well. They knew his people exceedingly well. One of the keys was on about the 29th or 30th of August, two of these young American Army boys had been invited to a stag party given by their Libyan communications counterparts. During the course of the evening, three or four of their counterparts had been called out of the party and disappeared. There were various other signs the officers were aware of. They didn’t know what the signs meant because they only saw one little piece of the elephant. But if we had had an opportunity to debrief them in advance, when these things started to happen, they would have known to report them to the Embassy in Tripoli. I am personally convinced intellectually that had we had access to this group of young American captains we would have been able to call the coup in advance. We certainly would have been able to identify the people who were involved. Actually, on the morning of the coup we had no idea. I was the first American and one of the first foreign diplomats who went over to the radio station, where the coup headquarters had been set up. The reason I as chief of the Political Section sought out the new military rulers of Libya was a consular protection and welfare problem. We had some Americans who were out somewhere between Sabratha and the Tunisian border who had been caught up in the coup. We didn’t know where they were; we had completely lost track of them. A final comment about RCC connections. During the two or three years of my presence in Libya leading up to this time (I had arrived in 1965), I had stumbled on a Libyan in his mid-twenties who was a boat builder. I discovered that his boatyard was in the harbor directly in front of my apartment house terrace. I could look down over the edge of the Corniche (pictured) and see his traditional boat-building operation. I wandered down there one day and struck up an acquaintance with this fellow, who looked as if he were about 25 years old. Periodically I would go down and shoot the breeze, learn a little about boat building, and just practice Arabic. At one stage of the game I met his younger brother, a youngster about sixteen at that point, who was struggling to get through secondary school. At one point he was very unhappy about having to take his final examinations at secondary school because all he really wanted to do was go off to the military academy that was in Benghazi. He was unloading on me one morning about how he didn’t like school and wasn’t going to take the final exams. We argued about this for a better part of the morning. I learned a few months later that this youngster had indeed gone off and taken the exams and managed to pass, not very well, but he passed. Now, let’s fast forward to about three weeks after the coup. Again I was at home, this being a Sunday morning. I happened to wander out onto my terrace overlooking the Corniche and I saw a couple of guys walking towards my apartment house. One of them was in uniform. I didn’t recognize them at first but as they got closer and closer I realized that the one in civilian clothes was the boat builder. When they got a little bit closer, I finally realized that the one in uniform was the younger brother whom I hadn’t seen since he had gone off to Benghazi two years earlier to go to military school. I was fascinated because I hadn’t seen either of these guys for quite some time, certainly not for the last six weeks, or whatever it had been since the coup. My interest peaked when they came to the main drive of my apartment building, turned in, and started to come towards my building. It was then that I realized they were coming to see me. I lived on the top floor. They climbed up the three flights of stairs and the doorbell rang. I went to the door and greeted them warmly. They came in and sat down. I still don’t know quite what the connection was or how he had come into the circle around Muammar al-Qadhafi. There were two circles within the RCC. There was a small group that had about 15 or 20 officers in it and then there was a larger group of which there were all together some 65, including the 15 or 20. My young friend was part of the 15 or 20. I was absolutely nonplussed. The more I thought about it after they left, the more I could hardly believe that this had happened. JOSIF: Our official relations with Libya had just been set back by Muammar Qadhafi’s coup of September 1st. Overnight, they went from cozy to uncomfortable. When I arrived, we still had a big operation in Libya. It was true that we no longer had an AID [U.S. Agency for International Development] mission, but we had just about everything else. We had a large military attaché outfit, USIS [U.S. Information Service], and a consulate in Benghazi. A total of 85 Americans were connected to the embassy. The American community numbered about 6,000, almost entirely in the oil industry. Then we had Wheelus Air Base. That had another 5-6,000. 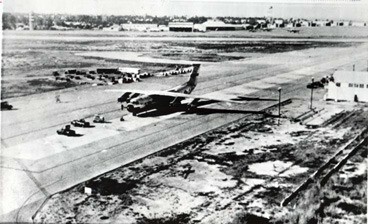 It was the largest American air base in the world in terms of area. It was the main training base for American Air Force pilots assigned to Europe. Because of the bad flying conditions in Northern Europe and the very good flying conditions in Libya, they were regularly rotating in and out to improve their skills in bombing and other things. But Qadhafi’s revolution resulted immediately in a demand that we leave Wheelus. Part of the background on this is that in 1967 at the time of the Arab-Israeli War, the embassy decided because of the threat of riots and anti-American feeling to evacuate most Americans. They evacuated them through Wheelus, then entirely under our control. I think this was one of the many reasons why Libyans, Qadhafi in particular, were suspicious of our presence. Qadhafi had a lot of reasons to dislike us. He was an Arab nationalist. He thought we were responsible for Israel’s existence and certainly its success. He was a firm believer that if the Arabs would just unite, they had the numbers, they had the oil wealth, the location, the other resources, so that they could drive the Israelis into the sea if it weren’t for the Americans in particular and the West in general. Anyway, he immediately demanded that we leave Wheelus. This was our first big problem, and it occupied us completely for months. The whole U.S. government knew that there wouldn’t be any peace about Wheelus unless we just left. We were there on a lease basis. The lease was to expire in about a year and a half. Considering time for closing in a normal way, there wasn’t much operating time left at Wheelus anyway. The Pentagon signed off on the position that we would negotiate an evacuation of Wheelus, but try to get the best terms we could on the incidentals like the timing. We would like to have as long a time as possible to get out. However, there was just too much deep-seated animosity towards the West, towards us in particular, because of the Arab-Israeli thing, Libya’s colonial experience, and because of Libyan xenophobia. Libya is the most xenophobic country that I’ve ever been in. It’s a country that is sparsely populated. It was easily conquered by the Ottomans and the Italians and then the British came in, and the French, in World War II. After independence, we had the dominating role there. We were the chief prop to the King. So, as the leader of a revolutionary coup, Qadhafi wasn’t very keen on seeing us hang around at all. Anyway, this effort to establish a new relationship failed completely. As to our official relations, they went from bad to worse. Apart from squeezing American property interests, there was constant criticism of U.S. policy, especially on the Middle East. Two rock-throwing demonstrations were directed against our embassy. Then there were Qadhafi’s adventures abroad, such as his military buildup and his shows of muscle in Chad. And what particularly concerned us was that he started claiming territorial waters out to as much as 200 miles. Regarding the Gulf of Sidra, also called Sirte, he claimed that the line of Libyan sovereignty went from the cape on the east to the cape on the west. Of course, we maintained that we only recognized the 12-mile limit. A major problem was that very few people saw Qadhafi. Our Ambassador only met him for a talk when he presented his credentials and when he left. He was complimented really in that he was given an exit interview. Most ambassadors left without seeing Qadhafi. I remember, an agency here in Washington sent us a psychiatric profile of him. This was probably in 1972. It was so bad that we decided not to comment on it. If we started fiddling and commenting on it, that would indicate we approved of it basically. So I was persuaded not to try. Obviously, the ultimate decisions were all made by Qadhafi. It was almost useless, literally, to talk to the Foreign Office or to the Oil Minister or anybody else.